At the beginning of June I happened to go to Château de Bellet to collect some wine for a tasting I was giving in Monaco. This was the first time I had been to the new cellar, driving through an impressive new gateway and past rows of newly planted vines. 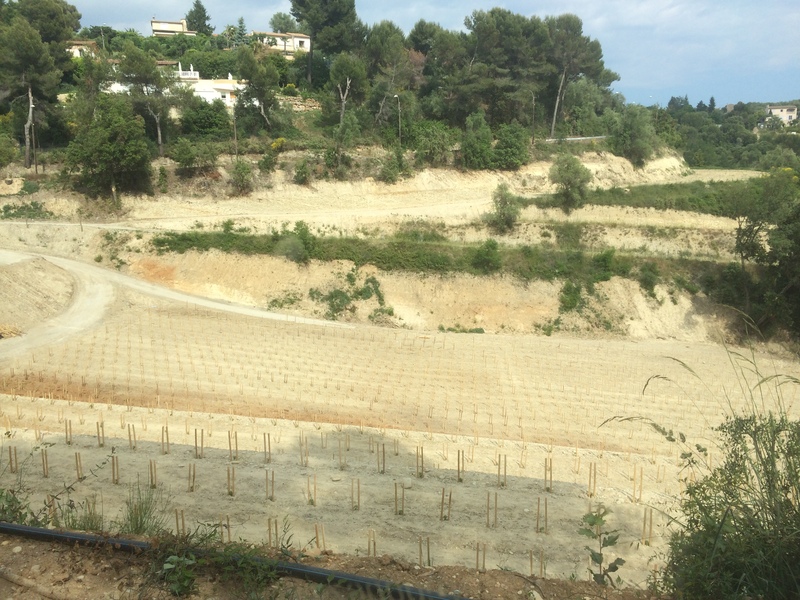 Amidst fears that the appellation of Bellet would slowly disappear under the threat of new suburban villas, seeing new vineyards is very encouraging. How many hectares, and which varieties (possibly Rolle) has not yet been announced. Château de Bellet’s premium wine La Chapelle sells out quickly, so more wines from this estate is always good. The scene was a hive of activity – with only two days to go before the opening of the new cellar and tasting room there were carpenters, painters and electricians tying up loose ends. 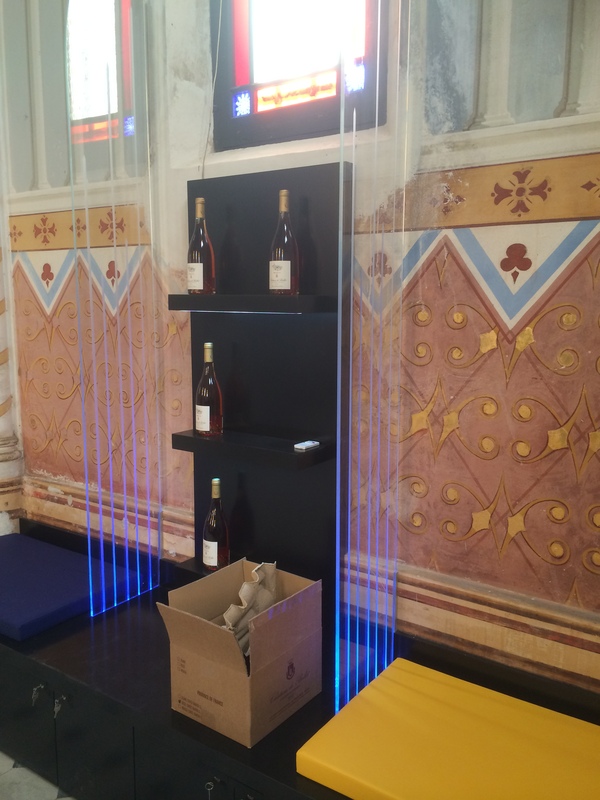 To be honest, I am not sure I really liked the ultra-modern displays in the very beautiful 19th century gothic chapel, but its location, in the middle of the vineyards with a spectacular view of the city of Nice and the Mediterranean, will hopefully encourage more people to visit the Château de Bellet as well as the other large domaines of Bellet, Chateau de Crémat and Domaine Toasc to taste and buy the wine of this very small appellation. Other smaller domaines are open for tasting by appointment. See here for contact details. Sadly I was unable to go to the opening event as it clashed with my giving a tasting of Bellet wines, but Chrissie McClatchie, of Riviera Grapevine, did go and wrote about the opening ceremony, which you can read about on my Bellet website. Every spring, in April or May, the Bellet appellation of Nice hosts its new vintage tasting. The tasting is important for the vineyards keen to show the wines currently available to the regions sommeliers and wine shop owners as well as journalists.